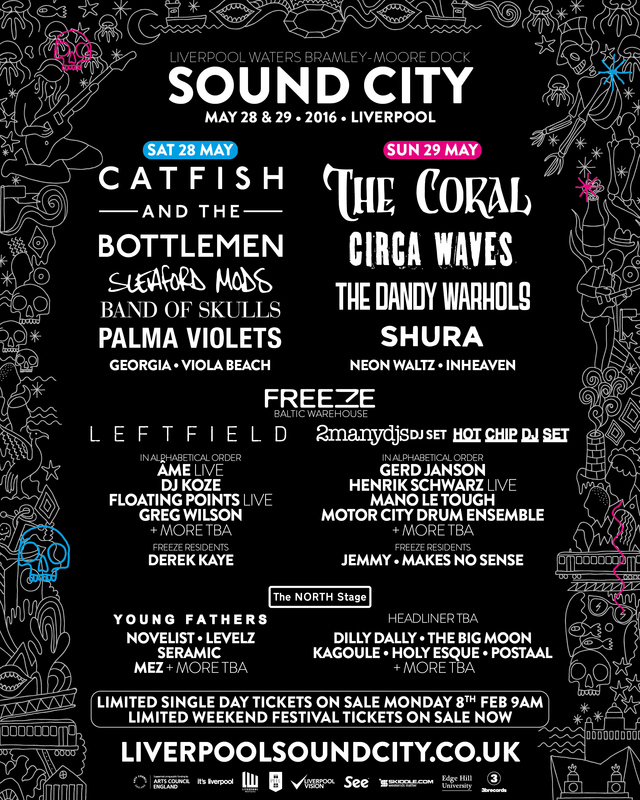 Sound City are delighted to announce day breakdowns for the Sound City 2016 lineup! Organisers are also over to moon to add 2manydjs (DJ set) to the incredible Baltic Warehouse lineup in partnership with Freeze! Sound City returns on Saturday 28th & Sunday 29th May 2016 at the iconic Liverpool Waters Bramley-Moore Dock, Liverpool, L3 0AP.